A stay at home Mumma of 3, crafting, cooking and living on one income. 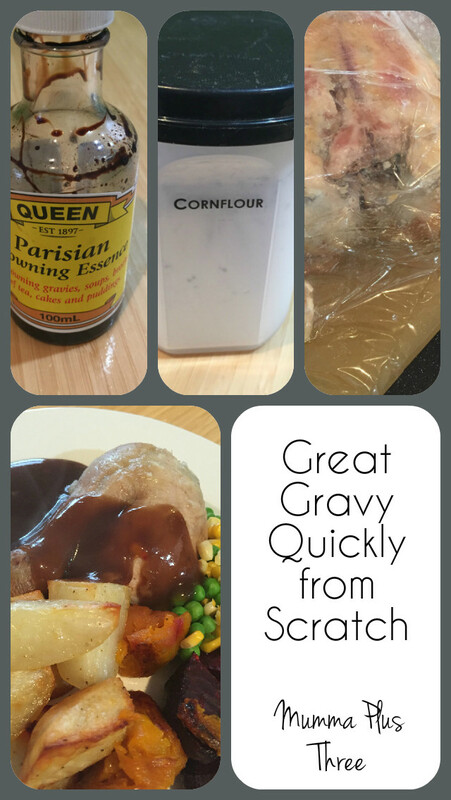 Making your own gravy from scratch doesn’t have to be hard or time consuming. This is how I make gravy, don’t ask me how to use pan brownings and juices. I almost always cook a roast in an oven bag, if I don’t for whatever reason, then we don’t have gravy. Now you need the juices from any roast that you have cooked in an oven bag. Carefully remove the meat with tongs, don’t tear or pierce the bag! Pick up the bag and hold it so the juices are in one corner. Hold it still for a minute and you will see that the fat settles on the top. 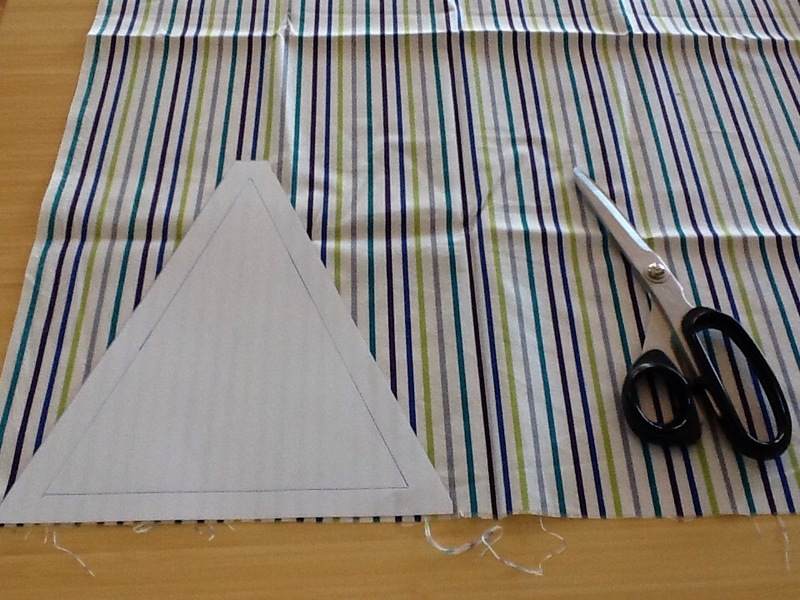 Now using a skewer or small sharp knife, pierce a small hole in the bag. Let the juices run into the cornflour mix, watching the layer of fat carefully. Before the fat starts to come out, use the skewer to pick up the bottom of the bag and quickly move it another bowl, scraps bucket or rubbish bin so that the fat can drain into there. A little bit of fat wont matter but too much will make your gravy feel greasy and taste yuk! Now stir so that all the cornflour mix is combined with the meat juices and microwave it for about 2 minutes, stirring once or twice. You could do it in a saucepan on the stove top, you would need to stir it constantly with a whisk. And hey presto…Gravy! Easy. Quick. Just season to taste and you’re done. You can add extra water or water from steaming veggies if you need, but the more meat juices the better the flavour will be. Gravy can be frozen. I like to freeze any leftovers it in ice cube trays. 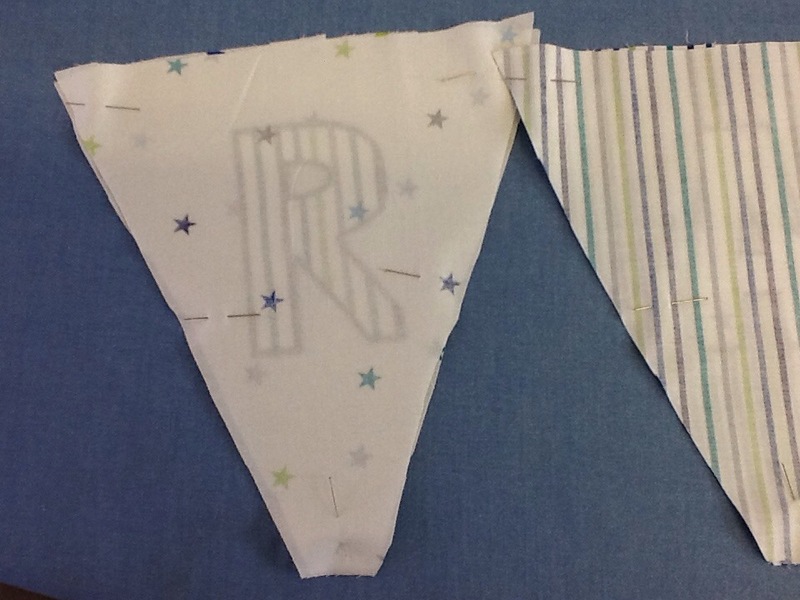 A friend recently asked me to make a personalised bunting for her little sons nursery. Once upon a time I sold these at various local markets, she had bought one then for her daughter. I enjoyed making it, a bit of a flash back to the past 😉 and the perfect opportunity I thought, to share the process with you. 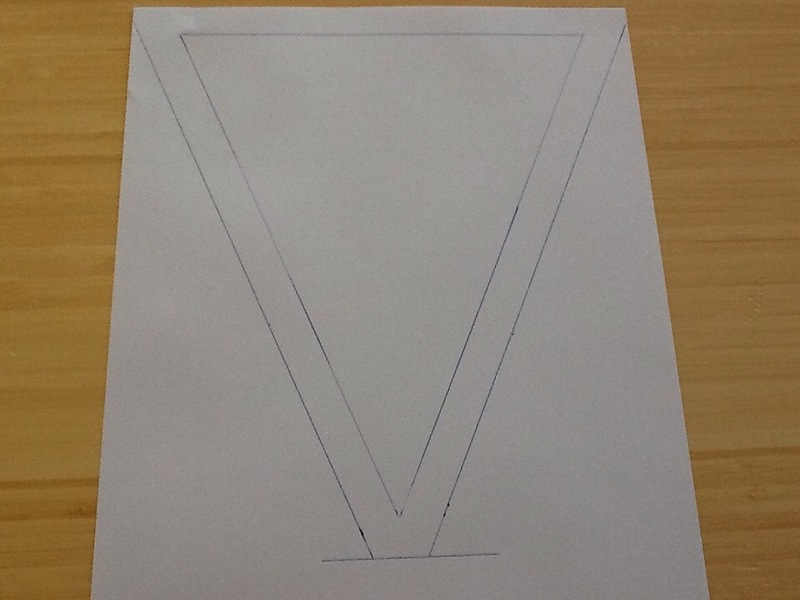 First you want to make a template. 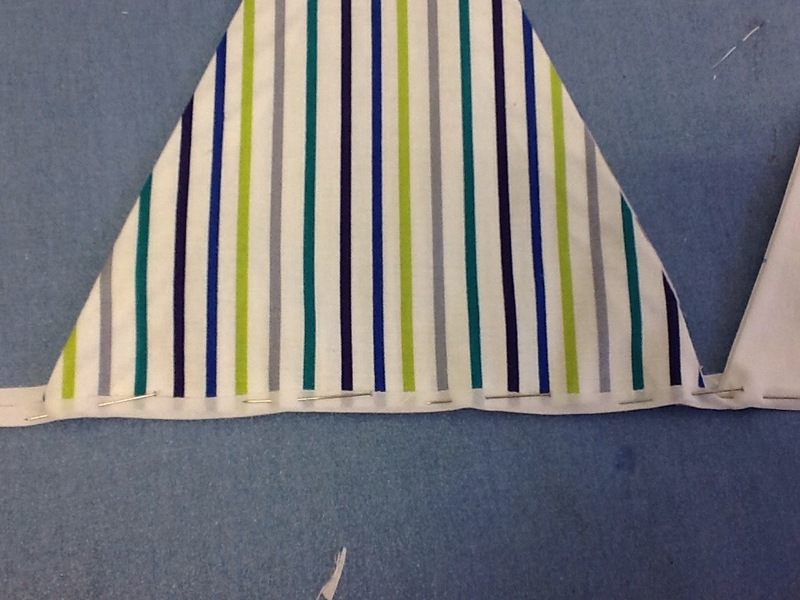 I wanted my finished bunting to be 20cm high by 17cm wide so I drew the triangle at the finished size and then added 1cm all around for seam allowance. 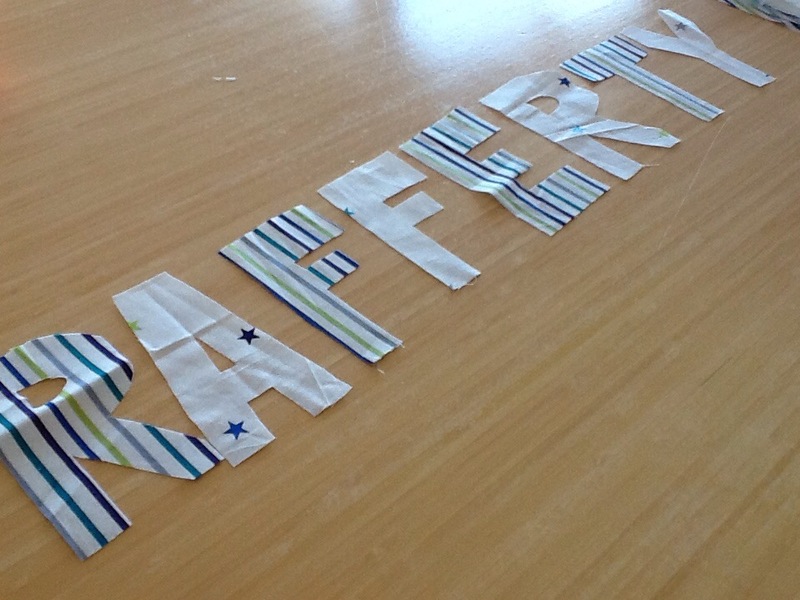 You also want to cut the fabric for the letters. I find cutting all the pieces the same size and then cutting the letters from the rectangles helps keep the letters all the same size. 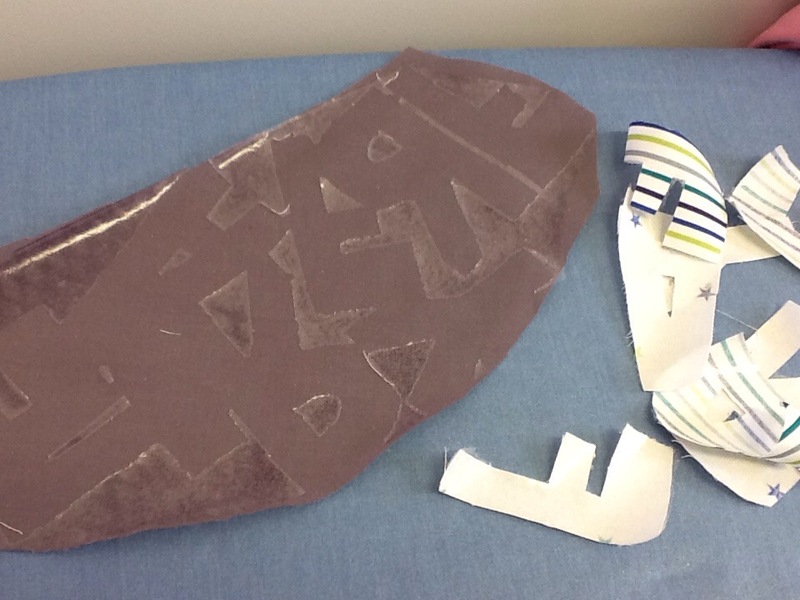 When you have your letter pieces cut out you want to draw and cut out the letters. 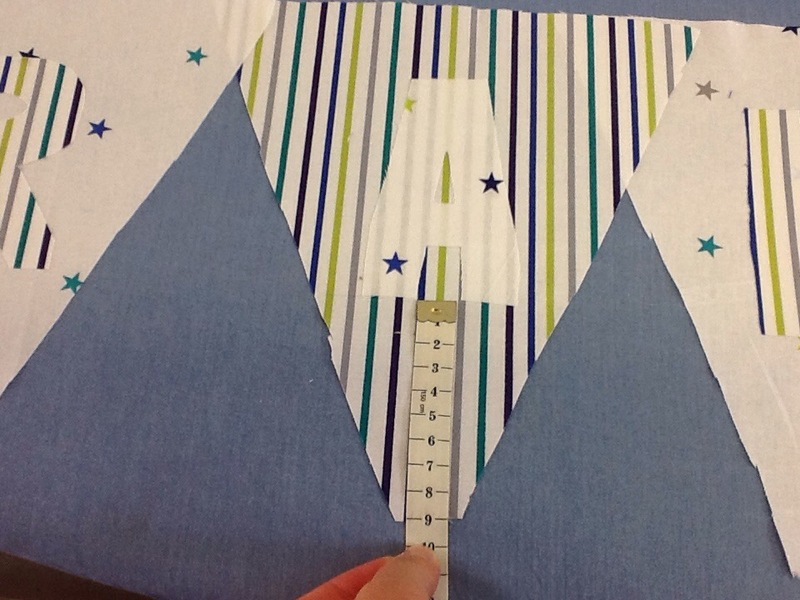 For symmetrical letters fold the fabric in half so that you are cutting both sides of the letter at the same time. 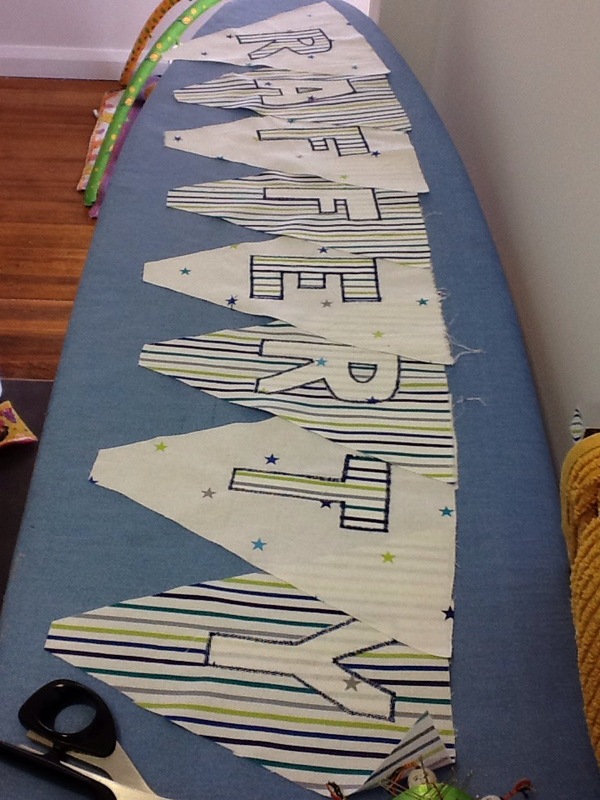 Now you need to iron double sided interfacing onto the backs of the letters. 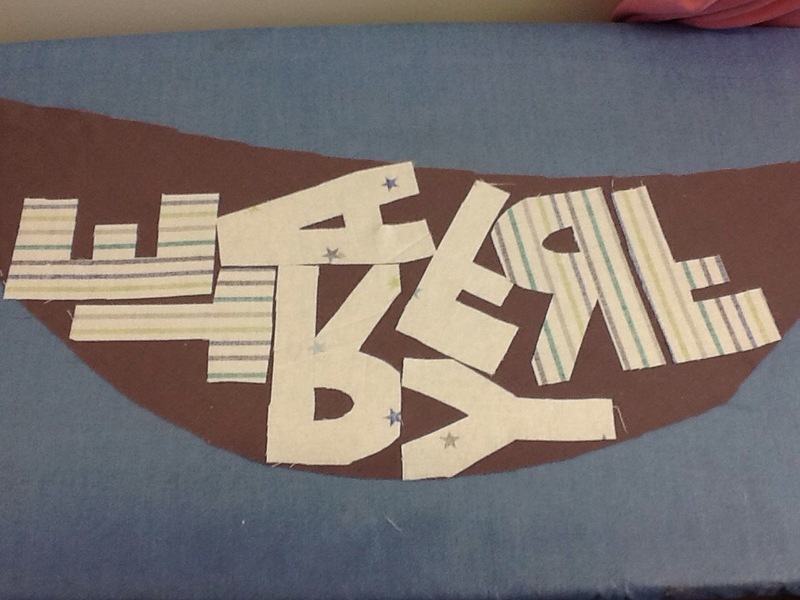 You can cut out the interfacing for each letter but I just lay the letters on and then place a piece of scrap fabric over the top to pick up the glue that isn’t needed. 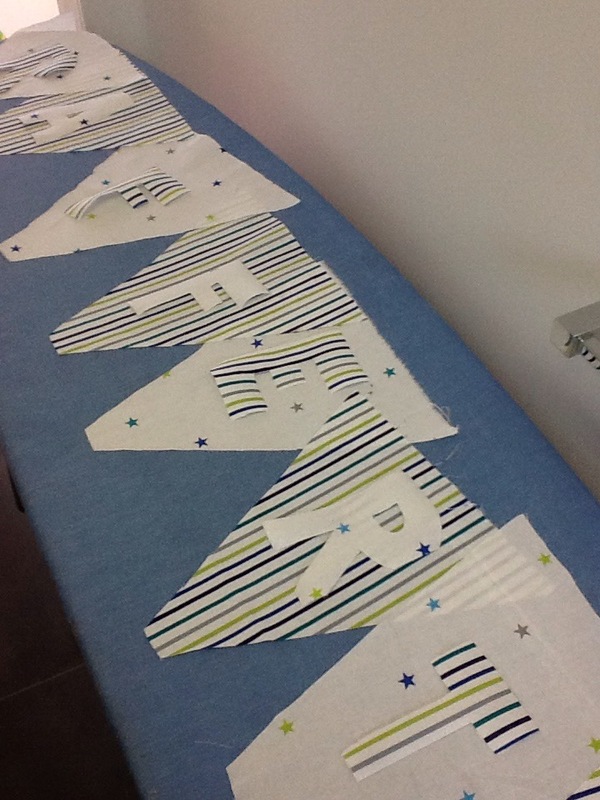 Iron and allow to cool as per the interfacing instructions and the peel the letters away. 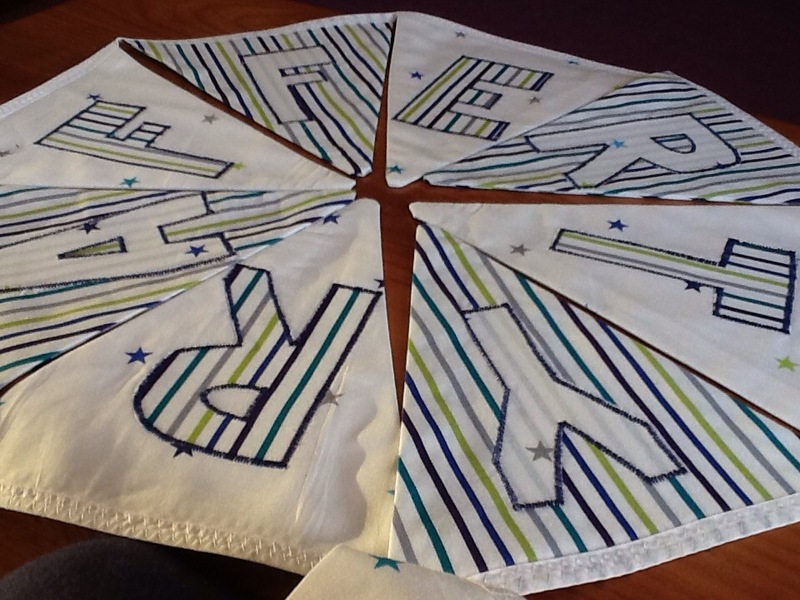 Position the letters on the flags and iron them into place. 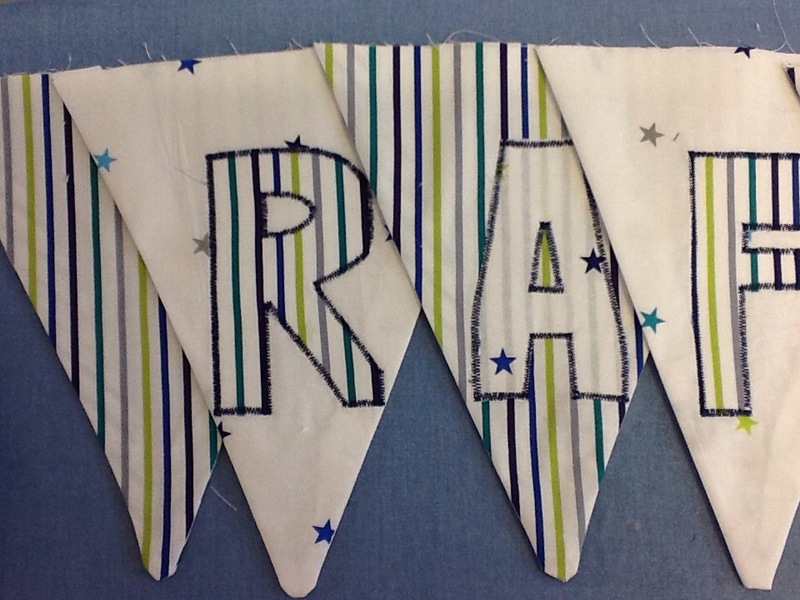 Now using a very close zigzag, sew around each of the letters, or you could hand stitch if you have more patience than me. 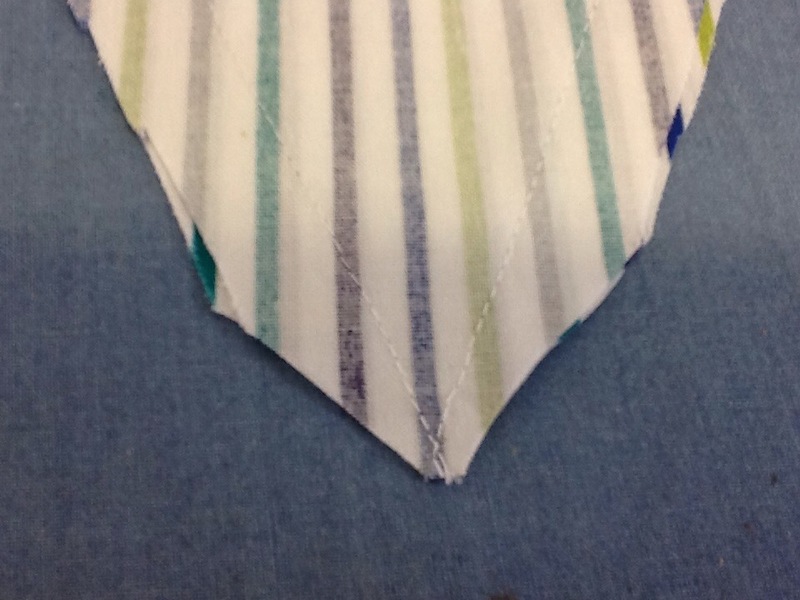 Now place the fronts and backs of the flags, right sides together, pin and sew, leaving the top fully open to turn though. 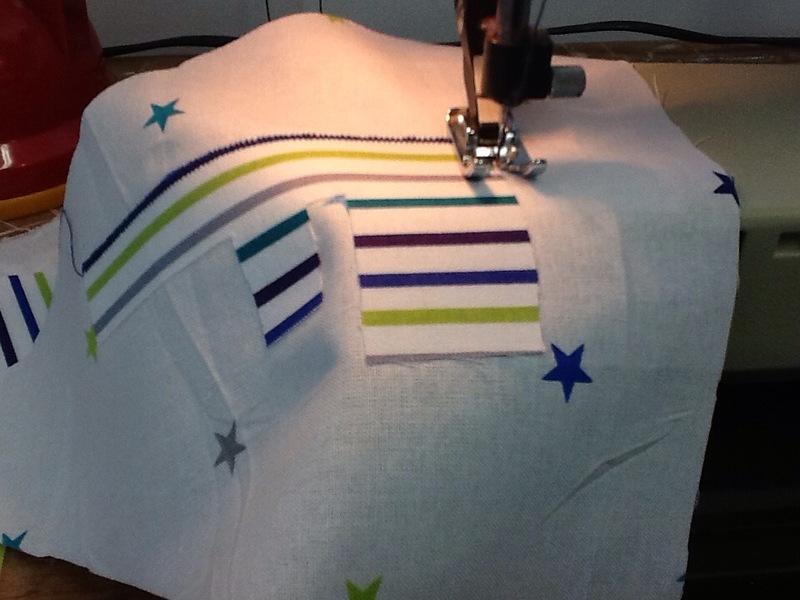 When the flags are sewn, trim the excess seem allowance near the point so that they turn though nice and flat. Now turn through and iron the seems well. 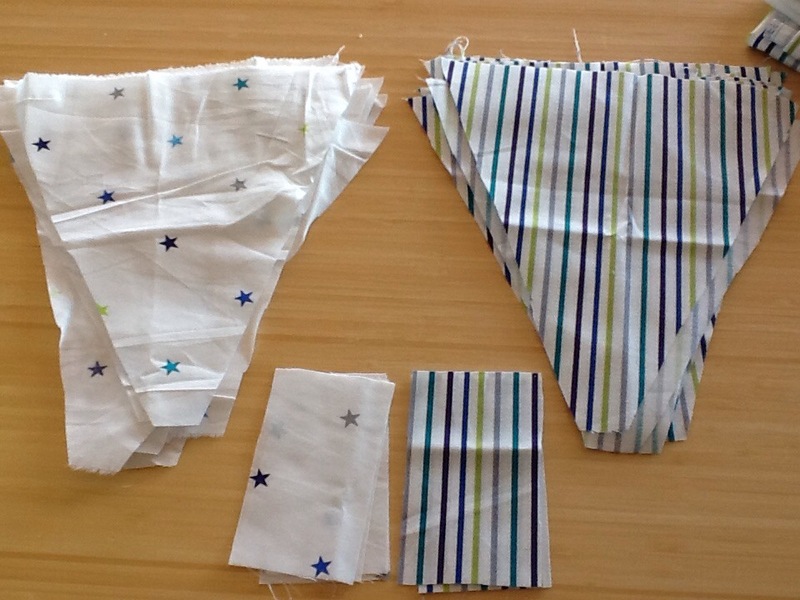 Now you need to pin each flag onto bias binding. 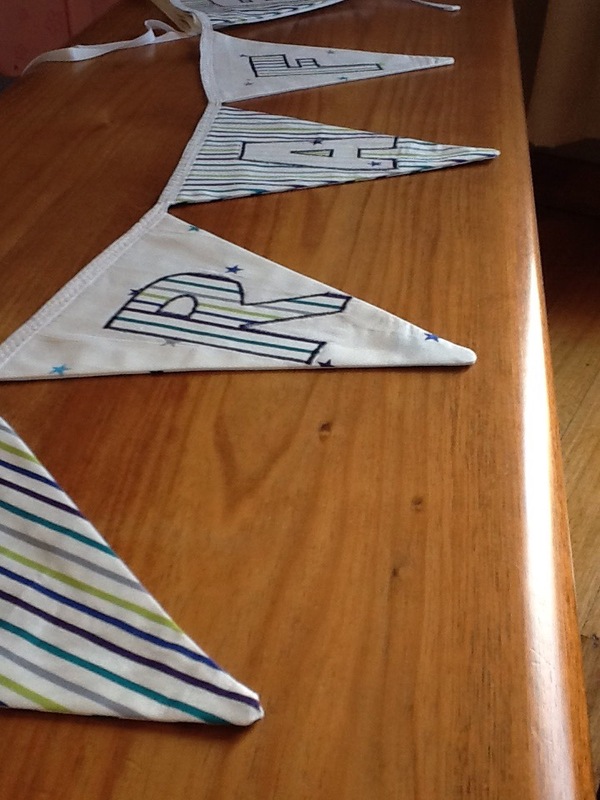 You could make your own but I just used commercial ready made to save time. 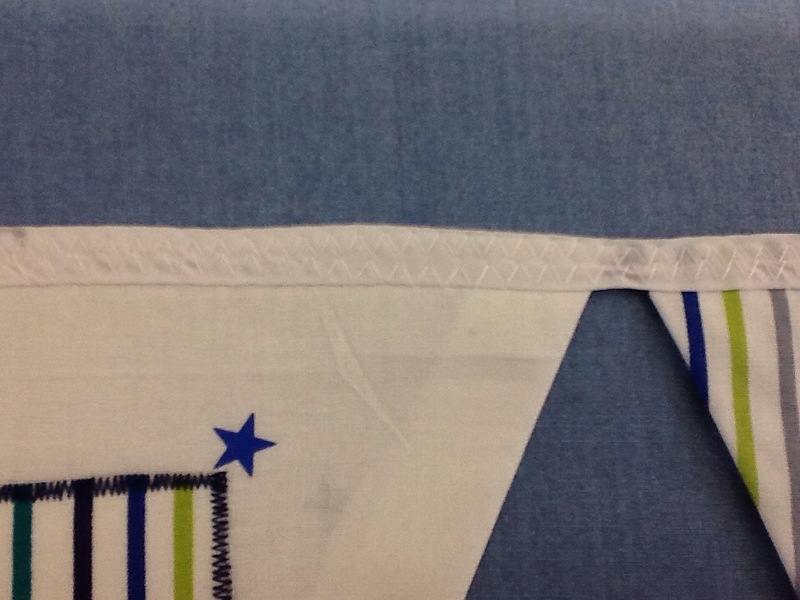 You may need to trim the tops of the flags so that all raw edges are covered by the binding. 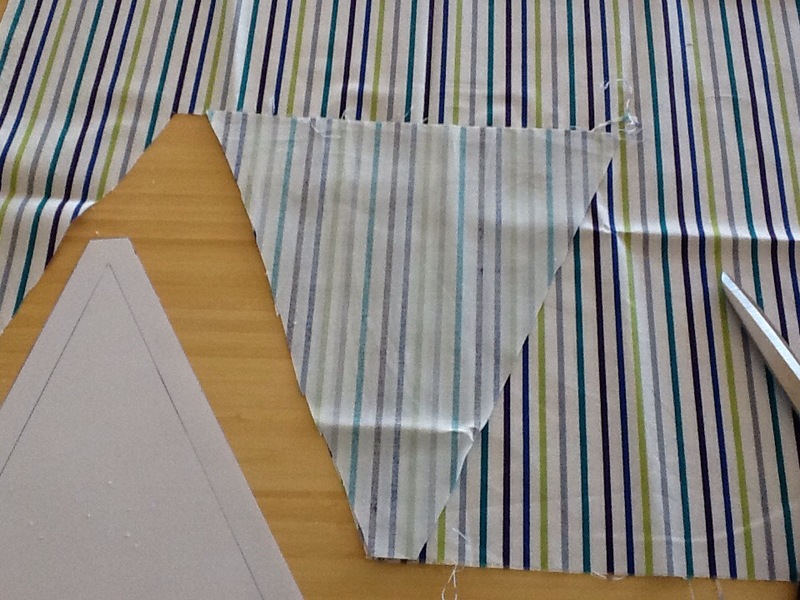 I used 2 rows of zigzag to ensure that all the edged caught under the binding. 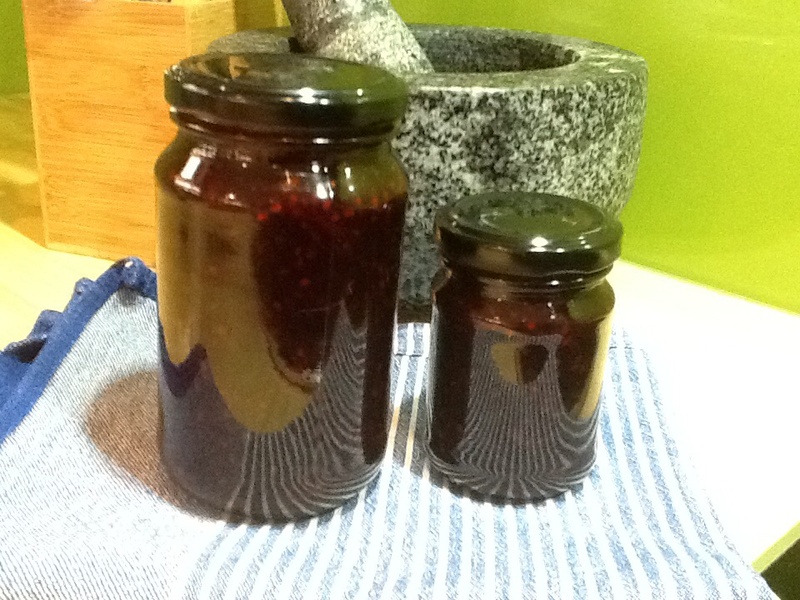 Jam is a lovely handmade gift to give as a Thank You, it is also great to make a big batch when fruits are cheap as it will last ages in the cupboard if bottled correctly. When I say ages, I mean years! I would say that it should be right for 12 months for sure but I recently found some I the back of the cupboard from !2011! and it was still perfectly fine with no signs of mould or discoloration. Having said that I would always store it in the fridge once opened. 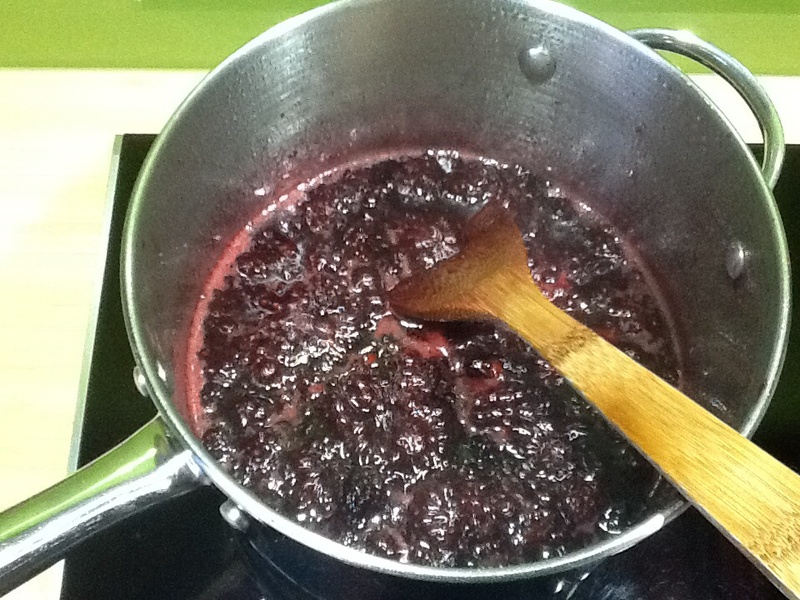 For this tutorial I have made Blackberry Jam but the method is pretty much at the same for any Jam. I always check a recipe that has similar fruit to what I am using as some require lemon juice or water to be added. 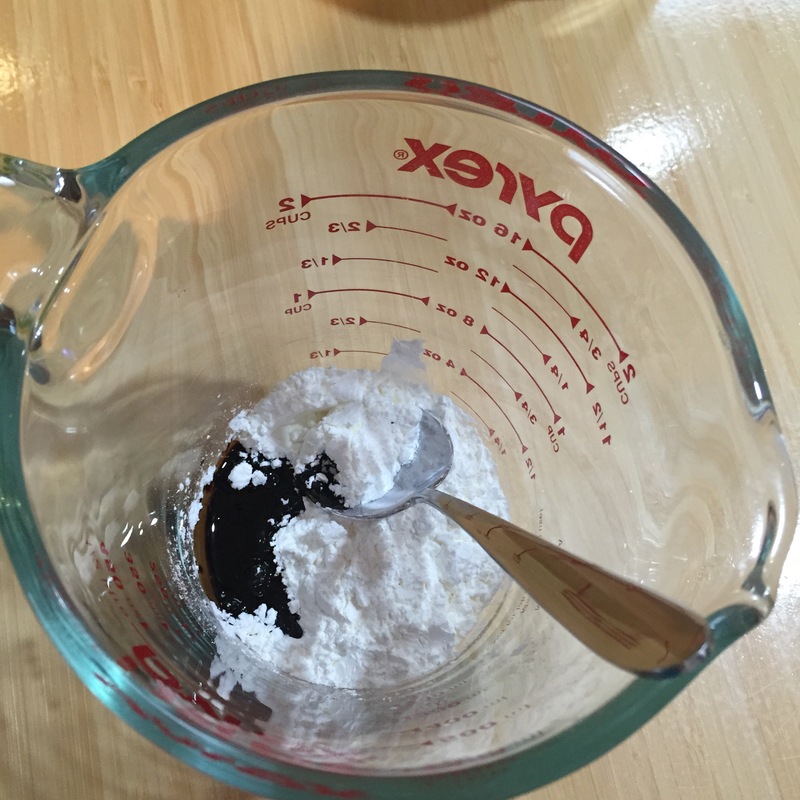 Most recipes call for equal parts sugar and fruit. I only ever use 75% sugar to fruit (because this is what my Mum does), this is sweet enough for sure. So for 1kg of fruit I use 750g sugar. Before you do anything else, put a small plate in the freezer. First you need to prepare your jars. You can use any glass jars with metal lids that seal well (avoid lids that have any rust or dents). 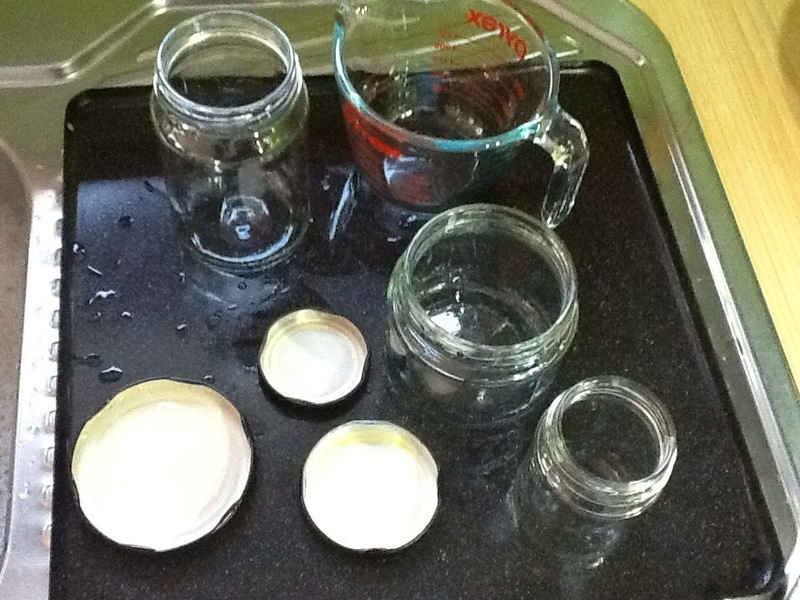 Wash your jars in hot soapy water, rinse and place on a tray. 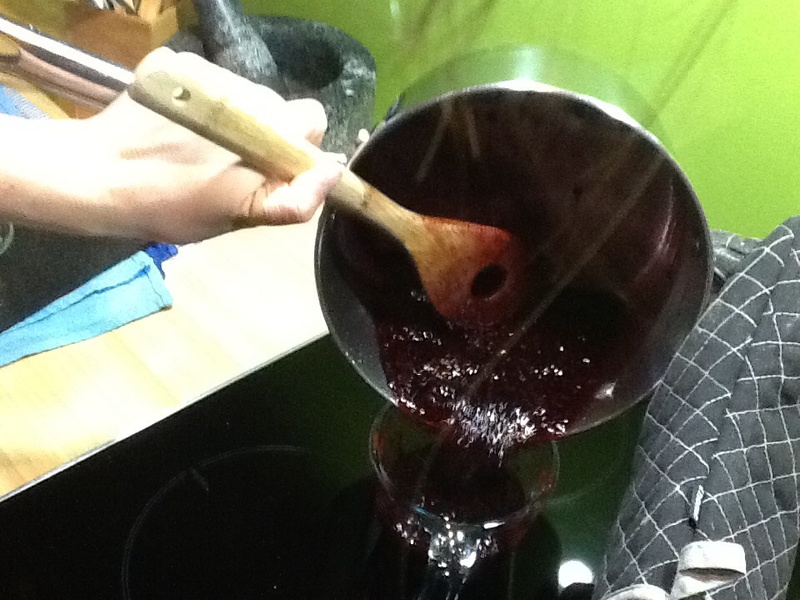 Also wash, rinse and place on the tray a jug that you will use to pour the jam. Place the tray in the oven at 100*c to sterilize everything. 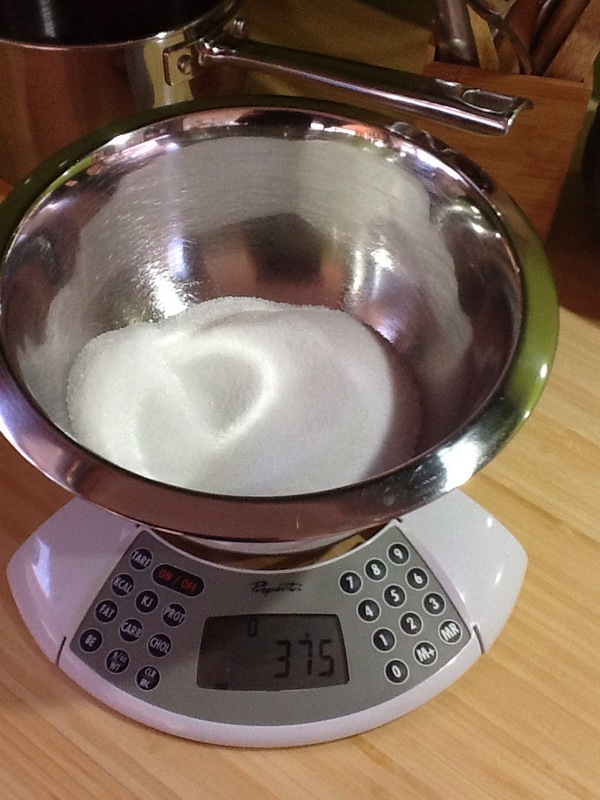 Measure your ingredients. You can measure the fruit straight in to pan but the sugar needs to be separate. 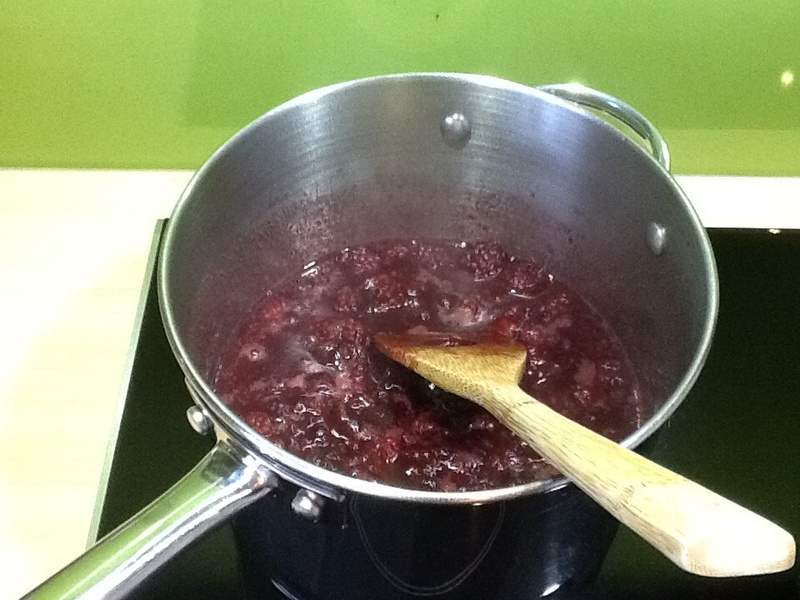 Put the fruit in the pan on medium-high heat until it is simmering and cook the fruit down until it is all softened. I use a spoon to squash the fruit a little so that the jam doesn’t have big lumps of fruit, that’s personal choice 🙂 Remove from the heat and add the sugar. 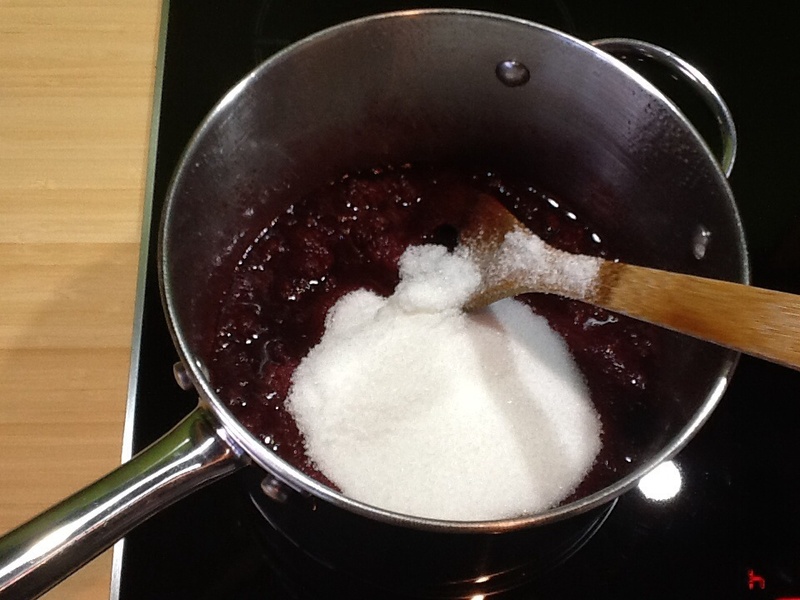 Stir until the sugar is completely dissolved, it will feel gritty until it is dissolved fully. Once all the sugar has dissolved return to the heat and bring to the boil. You want a slow boil, not too rapid. 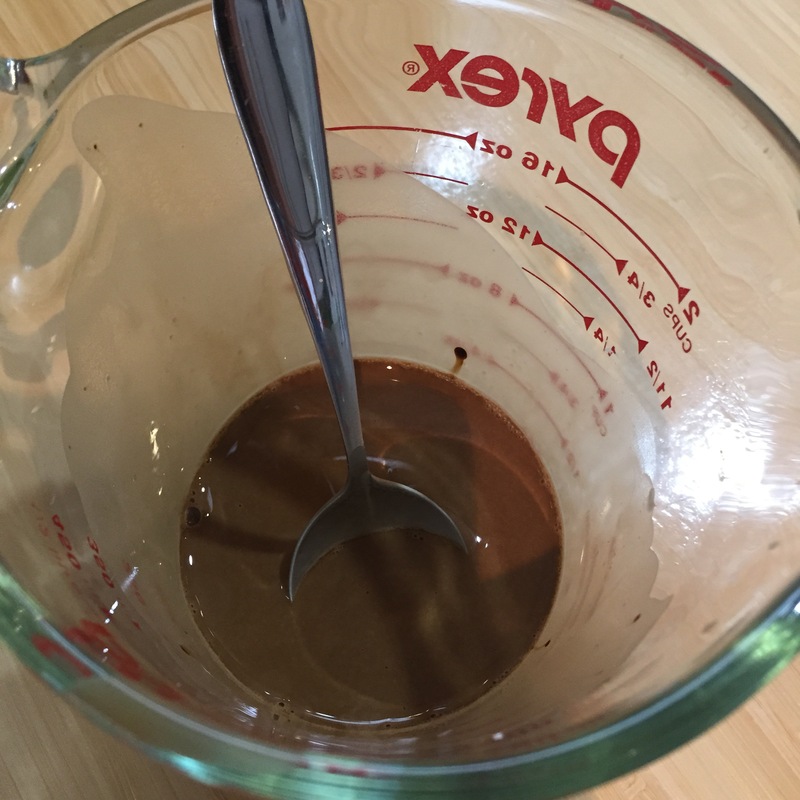 Stir regularly for as long as your recipe states. 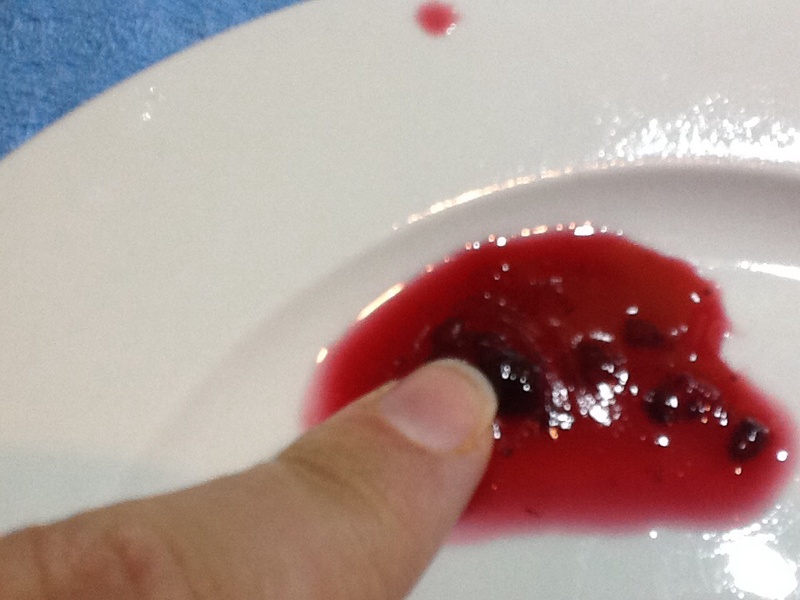 This 500g batch of Blackberry needed 9 minutes. 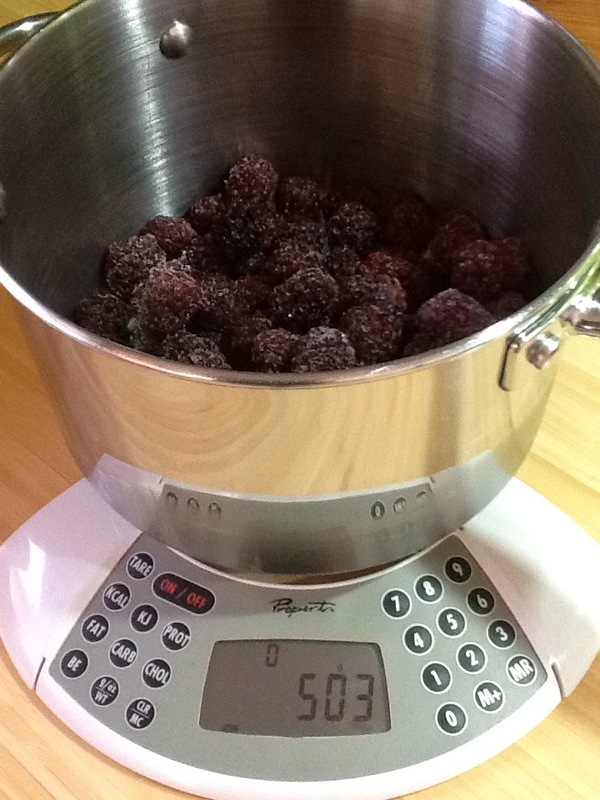 1kg of mixed berry usually takes around 15 minutes but all fruits are different so find a recipe to use as a guide. 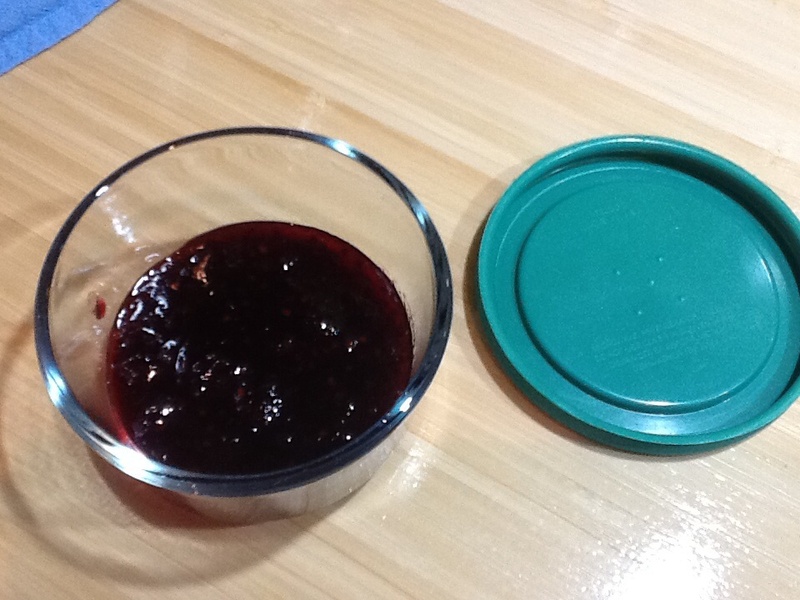 Any leftover jam can be stored in an unsterilized jar or container in the fridge, it wont last long because you will eat it!! 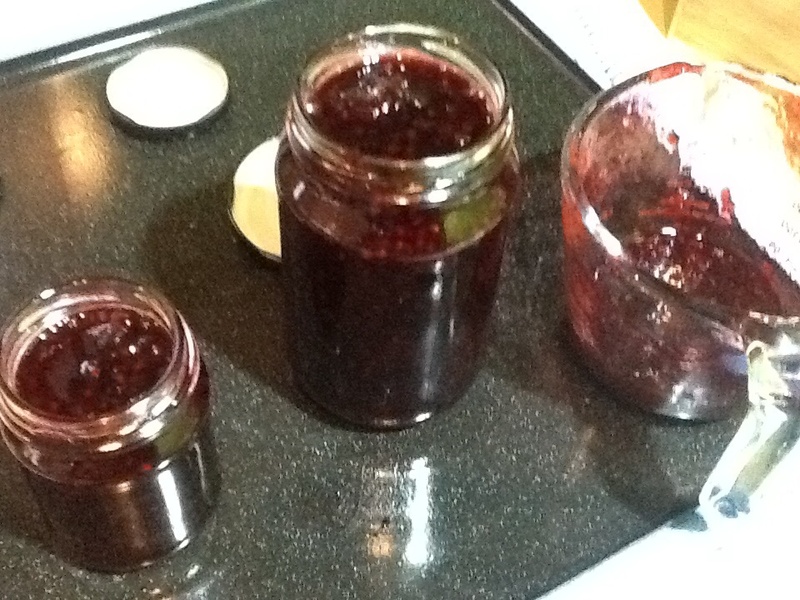 So there you go, next time you come across some cheap berries give it a go, there is nothing better than home made jam. Mumma Plus Three is Moving! Our Quamby has gone for a little walk without us, we’d appreciate it if Wynyard people could keep an eye out please.